With the popularity of the internet meeting interesting people who are interested in you has become much easier. This is the reason dating sites based on sexual orientation are becoming more popular. This extremely effective dating site is specifically designed to make it as easy as possible for its subscribers to make a lasting connection with someone that they are interested in. There are no limits when it comes to Gay Cupid. The only qualification is to be a gay man looking for a human connection with someone you are compatible with. Whether you are just looking for a casual hook up, lasting friendship or a long term commitment you can find it here. This is a simply designed and easy to use dating site that specifically makes use of a reliable dating algorithm to connect to people who may be able to form a lasting bond with. 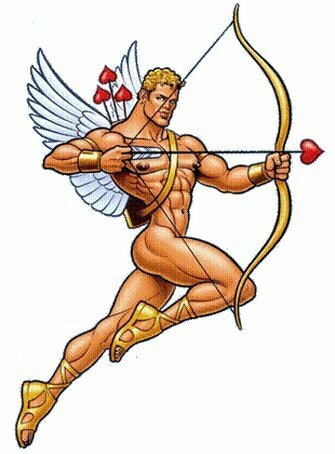 The best thing about Gay Cupid is its incredible versatility. Whether all you want is a casual hook up or a lasting relationship, you can get it all here. A huge advantage of Gay Cupid that makes it stand out from the crowd of numerous dating sites is the fact that the premium members are clearly masked. When you search for potential matches you only get access to premium members who have made a financial commitment to look for a connection on the site. The best thing about this is that you are sure the person you get access to is committed to the process and is serious about getting to make an authentic human connection. Another great thing about Gay Cupid is that it is partnered with more than 10 leading dating sites in the Friend Finder Network enabling you to create lasting connections with other interested parties. Gay Cupid site is simply designed with nice and attractive colours. You do not need any learning curve to use this site even if you are just a beginner. Fast Cupid is quite simply an easy-to-use site that is also extremely easy to navigate. Additionally, the site also works extremely fast making it great and easy to use. Everything is well placed, easy to read and instructions are clearly laid out on the entire site. What are the PROS of Gay Cupid? Are there any negatives to using Gay Cupid? If you are a not a paying member with a premium account you will not be able to view the detailed profile details of the potential matches. 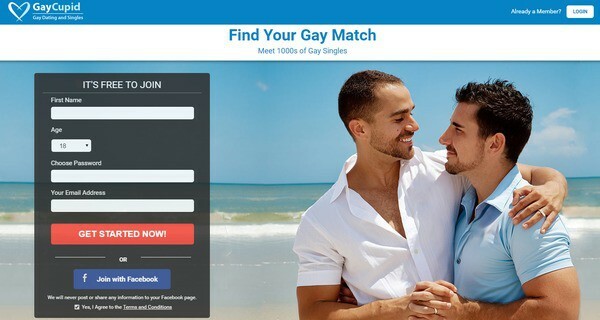 While most other sites allow you to view profiles even if you are a free member, this is not the case on Gay Cupid. No payment means no access period. A dating site should be about being able to communicate with people you are attracted to at any time. This is not possible without chatting or instant messaging. Since Gay Cupid does not have instant messaging, you will not be able to stay in consistent touch with the persons that you are matched with. How does Gay Cupid work? Sign up to become a standard member. You will be required to start by creating a profile that explains who you are and what you are looking for. Some of the information that you will be requested to fill in this juncture will include. The relationship type that you are looking for, date of birth, username you prefer, email and then the zip code. Essentially you are providing information on how you can be reached and what you are looking for in a potential match. At this juncture you will not be able view profile of other subscribers or communicate with them until you upgrade to a premium account. What relationship types are allowed on Gay Cupid.com? It is your option to look for the kind of relationship that you are looking for. Gay Cupid does not discriminate whether you are looking for a casual fling. Friendship or a long term commitment this is a great place to start. Unlike most site that claim to be free while they are not. Gay Cupid does not do any false advertisement. From the onset it is clear that joining the site is free but to actually browse profile and communicate with potential matches you must at least make a payment and become a premium member. Like other dating sites in the market this online dating site will charge you less the more you time you commit to using the site. If you decide to pay for a month’s access which is 30 days you will get $23.41. If you decide to commit more and pay for three months you will a large discount and only pay $40 for the entire three months. On the other hand if you take the plunge and decide to commit for a whole year (12 months), you will only pay $5.58 every single month. The best thing about being a premium member is that you can contact anyone you like whether it is another premium member or standard members with a free account. Payment can be made through PayPal or all major credit cards. There are so many dating sites in the current gay dating scene making it harder to ascertain which one is right for you. There is no doubt that Gay Cupid is a smart choice. It is a versatile dating site that will help you create a human connection whether it is just a casual fling or a long term commitment that can even lead to marriage. There are many success stories that have emerged from. Gay Cupid is definitely worth trying out for anyone looking to make an authentic human connection.